Most companies and businesses today in Australia have seen the need of having shipping containers for storing some of their products due to their durability and strengths. There are different types of shipping containers out in the market today and some of them include the standard containers and also the dangerous goods shipping containers. The good thing about the 10ft dangerous goods shipping containers is that they can easily be craned on and off the trucks or even to a higher level. Unlike the standard containers, the dangerous goods shipping containers use and utilise technology that ensures safe storage of hazardous goods that may be in the container. 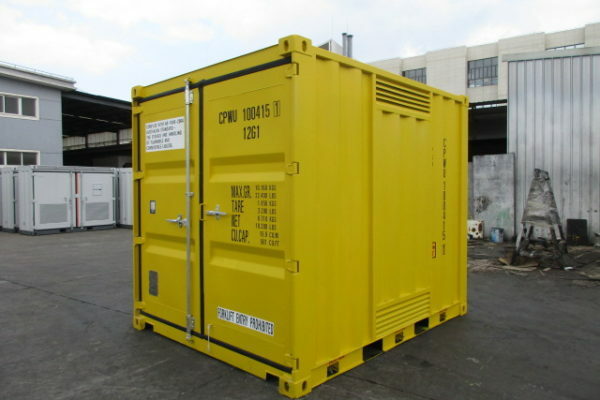 These containers are known to be the strongest and most durable containers in the market. For those that require safety for their goods, then this is the container to go for because it provides that extra security that you need and protection. The reason why the containers are installed with technology is to protect the materials that are being shipped and also protect the staff aboard the ship. So in the case of an emergency like fire, the dangerous goods are protected from causing more damage and so is the staff. If you or your company needs to store dangerous and hazardous goods then look for the best dangerous shipping goods containers in the market. It is essential to have it in mind that when you will be shipping your dangerous goods that you consider the durability and the safety of dangerous goods containers that are available. We are the number one provider of dangerous goods containers since we have different sizes. The safety of you and your team can never be compromised especially with the 10ft dangerous goods shipping container. If you have cargo that is less in weight the best container that you can go for is the 10ft dangerous goods shipping container. Most companies in Australia are always worried about how they would be able to ship some of their hazardous materials like chemicals and diesel but with the 10ft dangerous shipping container, you are guaranteed of having your goods shipped to your destination without any hiccups with regards to their safety. Another added advantage about the container is that it can store other materials that can easily spill over. Because these containers are strong and durable and technology embedded in them, you are guaranteed of safety for your hazardous goods. Most companies or businesses that use the 10ft dangerous shipping goods containers are companies that are in the petroleum industries, companies in the chemical industries and those that also manufacture flammables. The containers are best if they have proper ventilation, something that most companies do not a fact in. A good company should be able to provide you with a 10ft dangerous goods shipping container that has proper ventilation and also has doors and locks that ensure that there is proper safety for the goods that are being shipped.